This 30 gallon plastic LitterMate trash receptacle features a covered lid and is molded from high density polyethylene and can be easily cleaned with a standard degreaser. 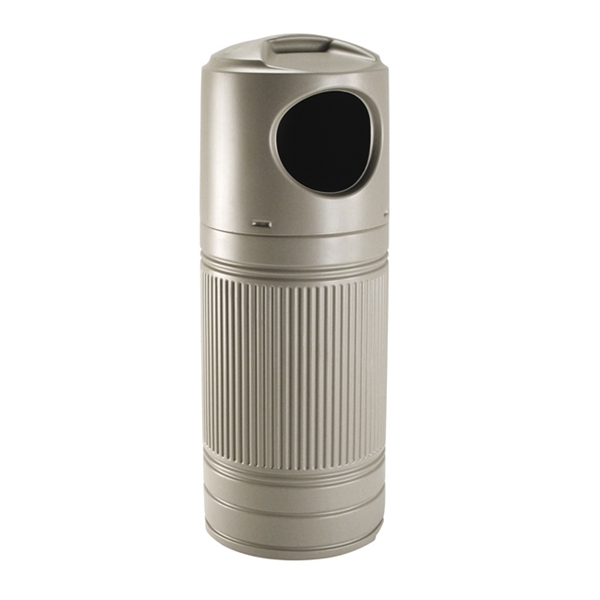 Easy snap-fit covered lid conceals the scent and sight of trash. Twist and knot bag-holding slot is convenient to use and holds bag in place.